The management of Arizona’s wildlife has been hijacked by special interest groups that control who serves on the Arizona Game and Fish Commission (AZGFC). For the past eight years the commission selection process has been controlled by a board whose primary concerns are protecting cattle grazing, land rights, and trophy hunting. The AZGFC is charged with establishing policy for the Arizona Game and Fish Department (AZGFD) to manage and conserve the state’s wildlife. The Commission and Department claim to manage wildlife under “the Public Trust Doctrine” for the benefit of all citizens. However, even the interests of rank and file hunters are not being heard by the Commission, let alone those of hikers, wildlife watchers and others who enjoy Arizona’s amazing wild places without consuming wildlife. For decades, Arizona had a commission appointment process through which applicants would apply directly to the governor’s office. Candidates included men and women with conservation backgrounds, including some with wildlife biology degrees. It was far from being a perfect process, but there was opportunity to get more diverse applicants into the process, and to have direct participation. That changed in 2010 when the Arizona Legislature passed Senate Bill 1200, which created the Arizona Game and Fish Commission Appointment Recommendation Board to “recommend” candidates to the Commission. Unfortunately the board is controlled by ranchers and trophy hunters, whose primary interests are not wildlife protection. The board interviews finalists chosen from applicants and forwards the names of two to five candidates to the governor, who is restricted by law to selecting one “board endorsed” candidate. The board has not recommended any wildlife biologists or women to the AZGFC, which has become increasingly more industry-friendly, catering to ranchers and trophy hunting groups that it considers its primary stakeholders. The Commission lacks diversity and scientific background, and appears to view predators as competition rather than crucial components of healthy ecosystems. This has led to detrimental rule-making and policies based on politics rather than the best science. Over the past several years some legislators have introduced bills to repeal SB 1200, but all have failed to pass without being granted a committee hearing. Unlike the Commission which webcasts its meetings, the recommendation board meetings and interviews of candidates are not available to view online, although they are open to the public. ADLA volunteers have attended and recorded board meetings which are posted on ADLA’s YouTube channel. The 2018 meeting is posted here. We believe that all citizens should be aware of the lack of transparency of the basis on which the board selects applicants that it will allow the governor to consider. Volunteers who have attended opine that the process is loose and politically biased. One does not have to be a wildlife biologist to recognize that the board’s questions of candidates are focused more on special interests than wildlife management. 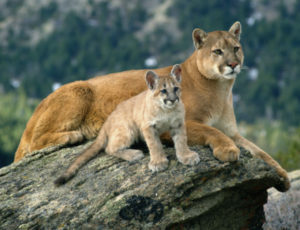 The board’s primary interests appear to focus on protecting states’ rights, cattlemen’s interests, and predator control to benefit trophy hunters. 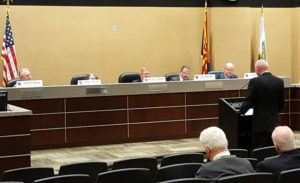 The board also has expressed concern about funding the AZGFD public awareness and education program, which in part seeks to discredit animal advocacy and environmental groups that disagree with AZGF’s anti-predator stance. At the November 13th meeting the board voted to recommend James Goughnour and Patrick Headington to the governor. Goughnour was also recommended to the governor in 2017 but lost to Leland Brake. 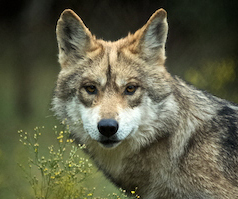 Goughnour is an outspoken critic of Mexican gray wolf reintroduction, as he states in this 2013 article. His 2017 interview is posted here on ADLA’s YouTube channel. ADLA believes that the Game and Fish Recommendation Board’s creation was one of many steps backward in the 2010-2011 time period. It not only deprives animal protection groups of participation in the selection process, it excludes rank and file hunters while giving power to 1% of hunters who belong to special interest clubs that helped pass this legislation. Please watch these interviews and contact Governor Doug Ducey and your state legislators to tell them you think the board needs to be abolished. Also contact ADLA to let us know if you want to learn more about wildlife management in Arizona and how you can help. Update: A bill to repeal the AZ Game and Fish Commission Appointment Recommendation Board has been introduced in the Legislature. SB 1132, sponsored by Senator Juan Mendez, has been assigned to the Senate Natural Resources and Energy Committee. We will be asking for your help to get this important measure passed and signed into law. For updates on SB 1132 and other animal-related bills please fill out and submit this form.